we have already discussed about growing mint leaves at home using organic methods in our youtube channel. i have posted 3-4 videos related with that topic, recently one of our subscriber asked about how can we take the output from mint plant. it’s a simple question, but i think we can make a separate video about it. mint leaves are used in pulav, biriyani, salads, etc. you can add 3-4 mint leaves while making lemon juice. normally people purchasing this from market, they are using large amount of pesticides over it. take 5-6 stems and prepare the potting mix using soil, rotten cow dung. it’s enough for growing pudhina. place some stems vertically and horizontally , keep it in shade for 1 week. it will start growing, then you can move into sunlight. it doesn’t need any special care. 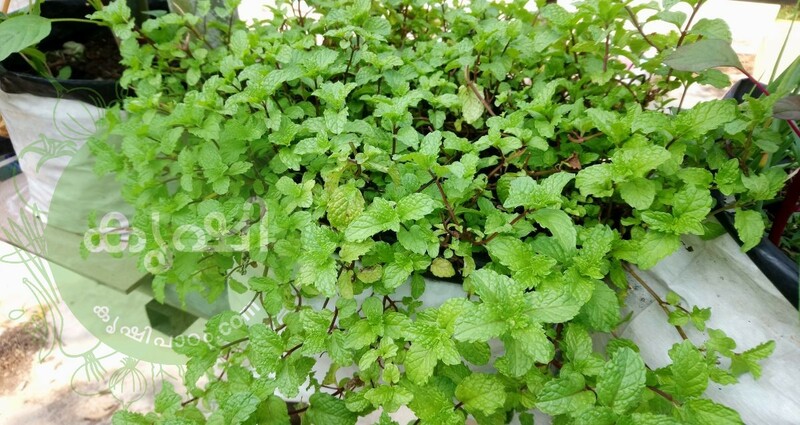 natural fragrance of mint repelling pest, we don’t any type of pesticides over mint. we can simply cut mint leaves, if you feel any difficulty use a blade or knife. for me hand is enough, take the output regularly, this will ensure the growth of plant. apply 50-100 grams of rotten cow dung monthly, it’s enough. drop your comments here, we can see you again through another video.